Ph.D. (Religious Studies, 2009), University of Kwazulu Natal, South Africa in collaboration with the University of Bayreuth, Germany. 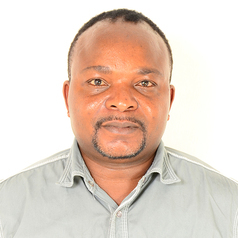 Senior Lecturer, Department of Philosophy and Religious Studies, Moi University, Kenya. Islam and Politics; emerging contemporary issues in Islam; and Islam and Human Rights; Religion and Media; Islam in Africa.